In New Jersey, hardwood flooring services have become one of the thriving businesses offering wide ranges when it comes to hardwood needs. There are different hardwood brand names such as IndusParquet Flooring, Bruce Floors, Armstrong Flooring, and Mirage Floors which are all available in our showroom of Point Pleasant, New Jersey. IndusParquet in New Jersey has provided households solid and engineered hardwood floorings. This business has entered the U.S. floor covering market through distribution in homes and commercial spaces. IndusParquet Flooring was started more than 40 years ago and has been providing private-label exotic flooring products in different parts of U.S. since then. Bruce Floors is one of the most trusted brands when it comes to providing high quality flooring for less; Bruce flooring has been providing skilfully crafter hardwood floors since 1884. Armstrong flooring is also available for residents of New Jersey, offering hundreds of floorcovering choices for customers. Hardwood floor materials range from classic to exotic tropical hardwoods. Armstrong flooring sales and installation services in NJ are provided by a group of retailers and trained product professionals, including Liberty Wood Floors. New Jersey has more to offer when it comes to flooring services. Mirage flooring is a premium hardwood flooring manufacturer with also available in our Jersey Shore’s showroom. Mirage floors provide customers a whole new range of flooring products at reasonable prices; please call us at 732-899-0992 for wood floor inquiries or pricing. These different brands specialized in flooring are displayed in Point Pleasant NJ’s showroom. Sales and services consultants are readily available to accommodate customers. For instance, Liberty Hardwood Floors provides not only product consultants but also a team of experts for every project sites. 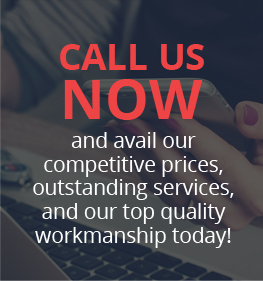 This is to assure customers that only quality flooring services are offered in New Jersey and nearby areas. Whether one needs IndusParquet flooring in NJ or other brands such as Mirage flooring, Bruce flooring, Armstrong, QuickStep, Verde Floors, HomerWood, Appalachian Flooring, etc., Liberty Hardwood Floors ensures customers that only the best will be offered. These different manufacturers offer hundreds and hundreds of choices that will best suit your taste when it comes to hardwood products. Being known for its quality flooring services, both households and establishments would surely want to come to Liberty Wood Floors in Point Pleasant, New Jersey and check these different brands and the choices have for everyone.